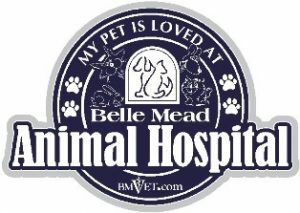 This month we are excited to announce a new service available to our patients – Belle Mead Animal Hospital will offer acupuncture on a daily basis to every one of our patients, large and small! 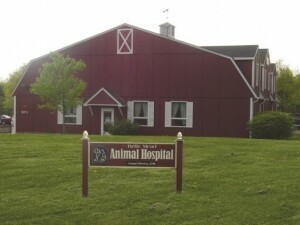 Dr. Somjen has completed the coursework and training associated with the Medical Acupuncture for Veterinarians Course. This course, originally designed and offered through Colorado State University Veterinary School, involves an integrative yet scientific approach to many common medical problems faced by cats, dogs, birds, rabbits and other small exotic pets. 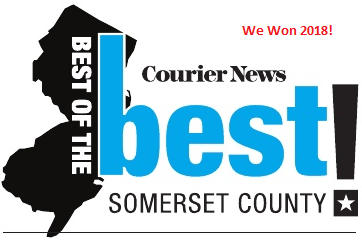 The definition of acupuncture is the act of placing needles in certain spots on the body to treat local and systemic diseases – these spots are often areas rich in blood supply and nerves. Acupuncture has traditionally been used to treat painful orthopedic conditions like cruciate disease, hip dysplasia or osteoarthritis and neurologic conditions including disc disease. We can even use acupuncture to treat respiratory conditions, wounds, bladder problems and other diseases such as chronic kidney disease, chronic diarrhea, and even eye issues! Using acupuncture we can speed healing, decrease pain, and improve general well-being. Dr. Somjen has already begun seeing patients for acupuncture treatments, and we are looking forward to adding another tool to the many that we already have available to help animals. Pictured above is Storm, a cat patient being treated for chronic kidney disease and irritable bowel disease. 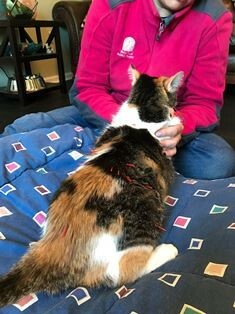 Above is a photo of Corona during acupuncture treatment. 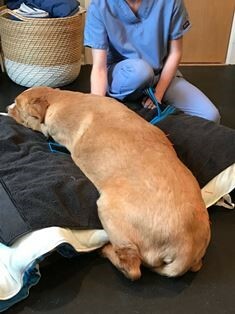 Our patient Corona experiences back pain, has bilateral arthritis in both his knees and his hips, and has compensatory pain in his shoulders. 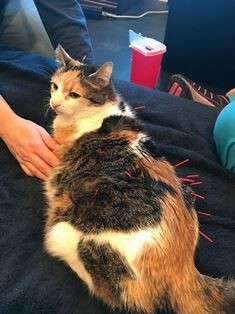 For pets that do not tolerate needles being placed, Dr. Somjen can also use other modalities including massage, laser, and manual pressure on the acupuncture points. 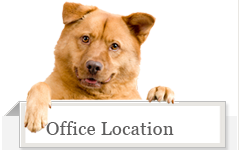 If you are interested in finding out if your pet would respond well to acupuncture, please give us a call and schedule your consult today!